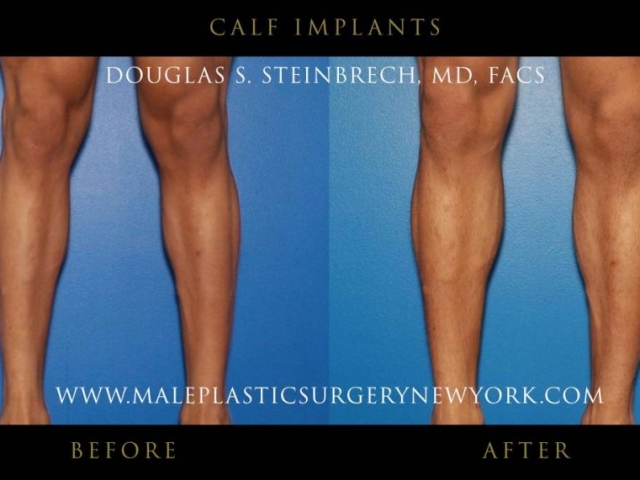 View before and after photos of male patients from NYC who had calf implants surgery performed by Dr. Douglas Steinbrech. Many men find it difficult to grow and sculpt their calf muscles even after putting in their time at the gym. 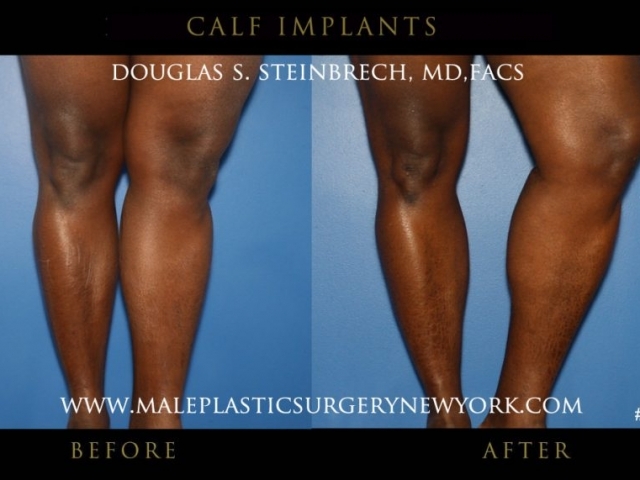 For these men, calf implants are a great option to build both volume and definition. This procedure also offers a solution to those men who feel their proportion is not even. 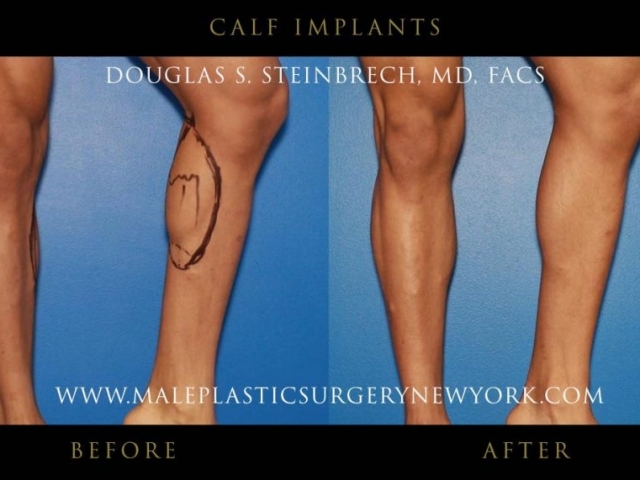 These calf implants are made of a soft silicon material. 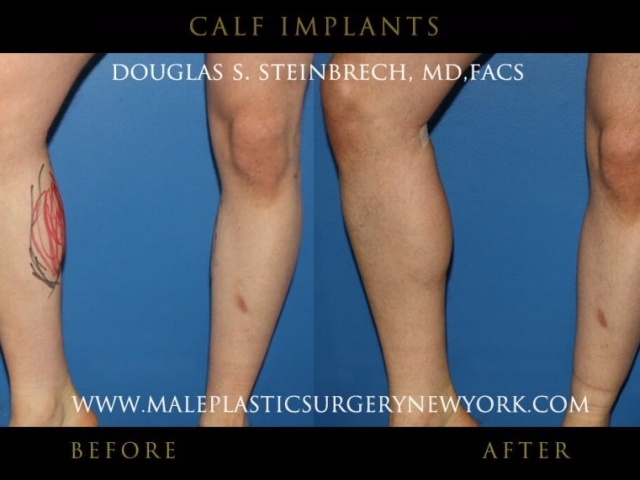 Dr. Douglas Steinbrech specializes in calf implants for his patients in NYC. For many individuals it is easier to build their upper body and have a more difficult time adding muscle to their legs, especially in the calf area. This often results in a very uneven look between the upper and lower body that men tend to be self- conscious about. 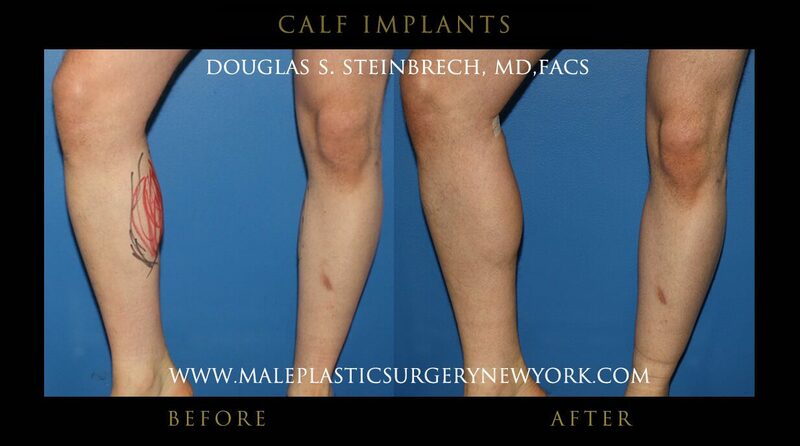 For more information about calf implants in NYC, please contact us to set up your no-obligation consultation today. 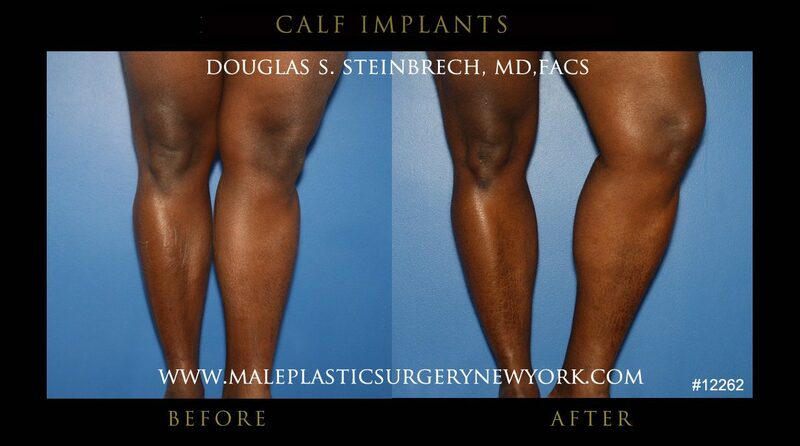 You may also call (646) 480-7750 to speak to one of our Patient Advisors to learn more calf implants for men. 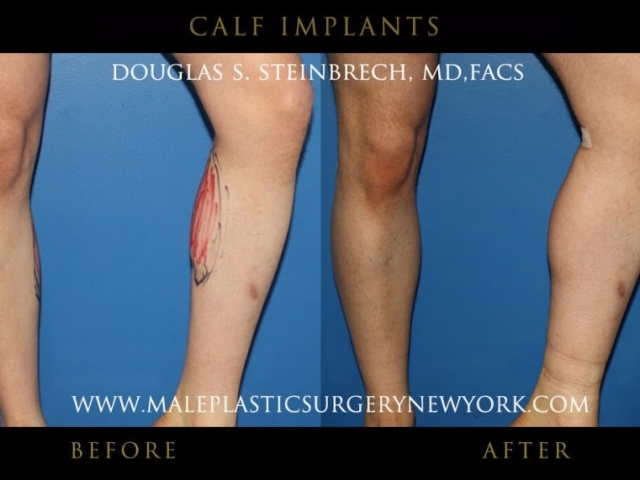 During your initial consultation with Dr. Steinbrech, you will have the opportunity to discuss your cosmetic goals regarding your calf implants surgery. 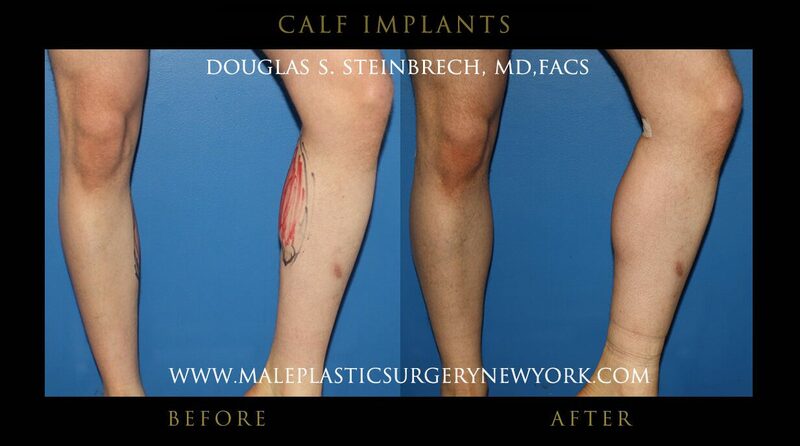 Dr. Steinbrech will evaluate you as a calf implant candidate and make the best recommendation options for you. Our office is conveniently located near 60 E 56th St, New York, NY 10022.